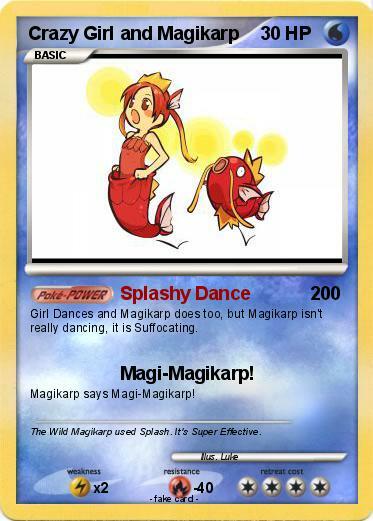 Girl Dances and Magikarp does too, but Magikarp isn't really dancing, it is Suffocating. Comments : The Wild Magikarp used Splash. It's Super Effective.